Radio Farda, which means “Radio Tomorrow”, it broadcasts 24 hours a day in the Persian language from its headquarters in the district Hagibor of Prague, Czech Republic. This radio is the Iranian branch of the U.S. government-funded Radio Free Europe/Radio Liberty (RFE/RL) external broadcast service. Main programs of this radio are: News, Talk and Music. Radio Farda first aired December 2002. Basically it broadcasts political, educational, social and art news with a prominence on Iran. It broadcasts have been repeatedly blocked by Iranian authorities over the history of its programming. Radio Farda broadcasts more than eight hours of political and cultural news and information daily, more than any other Persian-language global broadcaster. Authorities of this radio state that- they will add another 30-minute daily news program by the end of the year. Radio Farda also breaks system as dictated by news events, to bring live, comprehensive coverage of events such as last domestic Iranian elections and U.S. presidential press conferences where Iran is discussed. Such programming is followed soon after by analysis and discussion. 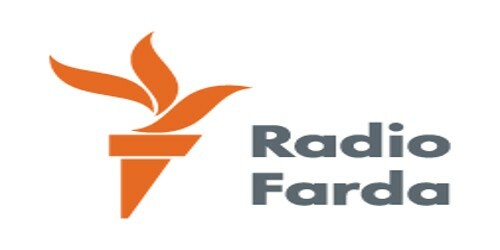 Radio Farda was established in 2003 as a joint effort of RFE/RL and Voice of America (VOA). In 2007, the Broadcasting Board of Governors (BBG) decided to merge all of Radio Farda’s operations under RFE/RL. Then in July 2008, RFE/RL assumed sole accountability for all Radio Farda programming. In 2009 Radio Farda’s SMS structure, Facebook and Twitter profiles were launched. Farda’s listeners sends thousands of voice, text and e-mail messages and remarks regularly on the website and Facebook page. Radio Farda Facebook page has over 25,000 followers. Following two weeks of major protests throughout the June 12th Iranian elections authorities strictly restricted the transitions of RFE/RL’s Persian Service. Radio Farda web editor Fred Petrossians won a media award from- “Think Social” for an internet-based mission he co-founded that seeks to increase consciousness of bloggers’ rights in Iran and other countries with unfree media.